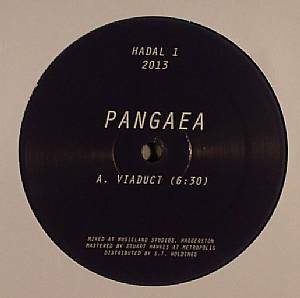 PANGAEA Viaduct vinyl at Juno Records. Whilst producers starting their own labels are an everyday occurrence at the moment, you still have to pay that extra bit of attention when someone of Pangaea's calibre makes such a move. The name Hadal is apparently inspired by the Hadal zone at the bottom of the ocean which is in keeping with the prehistoric supercontinent from which Kev McAuley takes his own production name. 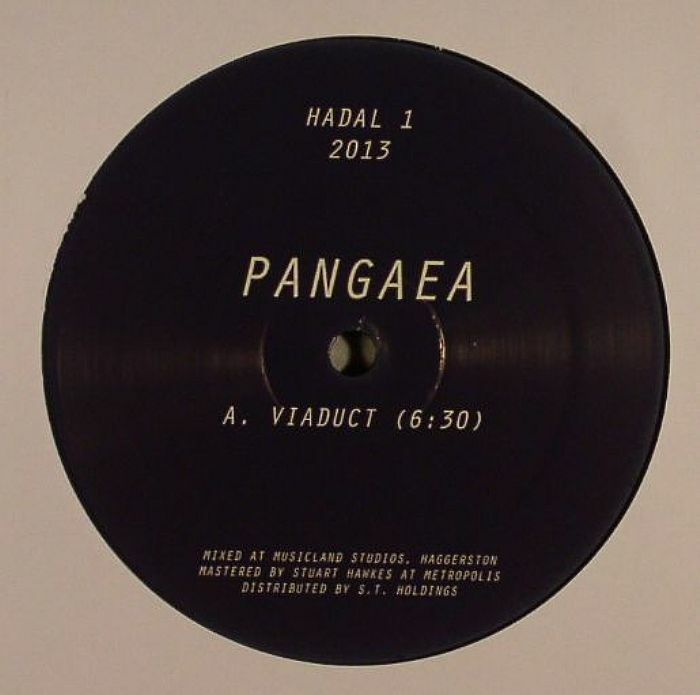 The Hessle Audio decision maker himself helms the first release Viaduct which brandishes a triplet of productions that further refine the singular combination of jungle and techno that was displayed with superb results on last year's Release double pack. "Mission Creep" in particular stands out thanks to a treated vocal sample that has echoes of Pangaea's Hemlock classic "Hex".